About a month ago, we had a mini-reunion dinner with my HS friends. One of our HS barkada came from Japan for vacation. We met at Livestock Restaurant in Sgt. Esquerra Avenue QC. 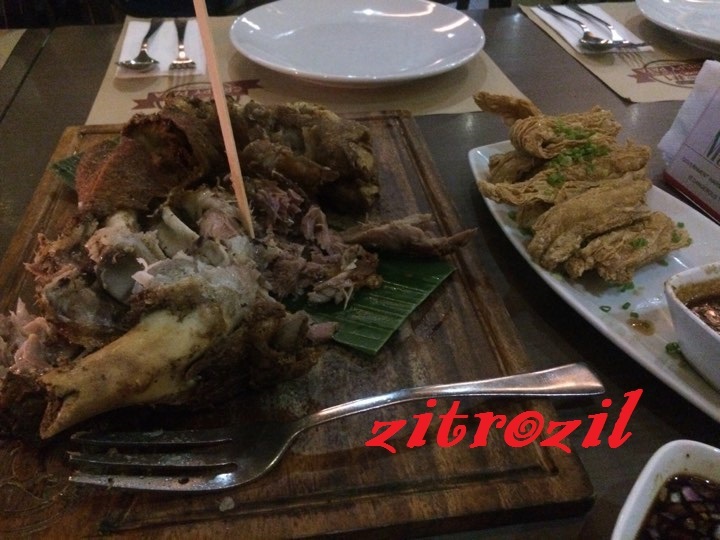 It was my first time there and I am very much eager to try their famous Crispy Pata. 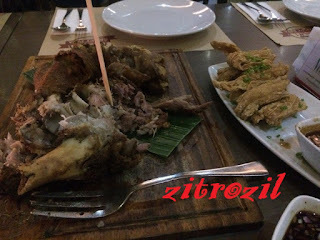 Their version of crispy pata is crispy on the outside but very tender on the inside. Once served, they will ask if they will slice it for you. They use a Popsicle stick to slice it. Yes, it's that tender. I also love the Tofu skin (on the right). Will I come back to this place? Yes I would. 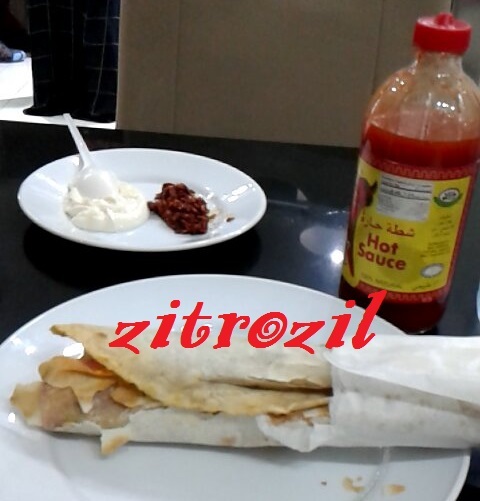 Here's another food picture sent from the hubby in Doha. 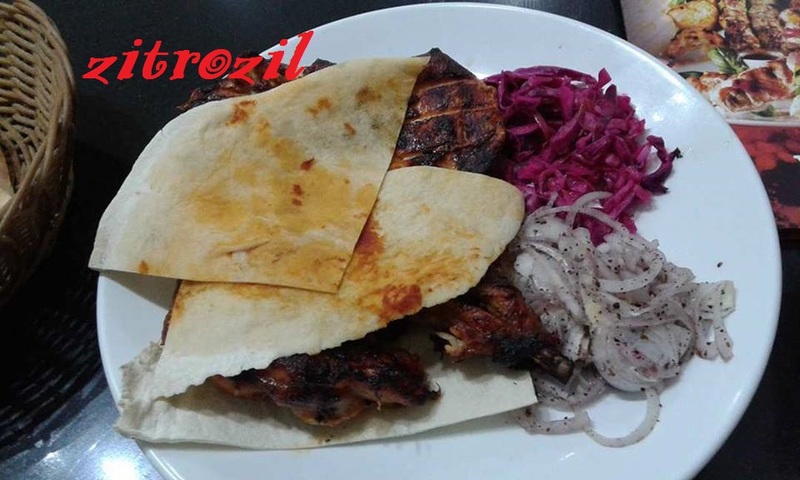 Maybe he's fed up with Shawarma and opt to have grilled chicken instead. I love food. And this dish looks yummy. How I wish I can taste different kinds of dishes around the world.